The biggest email automation marketing group in the UK has now partnered with an up-and-coming US eCommerce expert. That’s right: IronPlane has become a dotmailer Certified Partner. Take a closer look at the services that dotmailer and IronPlane provide. Consider how the pairing of the two companies through dotmailer’s Partner program can help boost your email marketing efforts. dotmailer started in the UK in 1999 as a web-design firm, but it has grown quickly and is now a company with 200 employees and a market value of 100 million pounds. Its client list now includes several of the largest companies in the world. dotmailer made its mark by becoming industry-leading experts in email automation marketing. Think of email marketing as one piece of your overall eCommerce strategy. At the same time that you are reaching out to consumers via social media, such as Facebook or Instagram, you should also be reaching out via email. Fliers and other promotional materials that used to come by regular, daily postal delivery can now be delivered via email, prompting instant conversions as recipients follow up on their interest in the products and services that your business offers. dotmailer creates email marketing software that can integrate with other software products, such as Salesforce and Magento. This way, your eCommerce platform can seamlessly integrate with an email marketing platform. Why Would IronPlane Partner with dotmailer? IronPlane is making a name for itself by becoming a premier resource for businesses that want to increase their eCommerce visibility. Whether you are just starting out in the eCommerce world and aren’t sure which platform best suits your needs, or you are an experienced business owner who is constantly putting out fires with your online marketing, IronPlane is here to provide solutions. IronPlane individually assesses the needs of each of its customers and can handle all phases of eCommerce viability. From starting out and choosing a platform, to providing ongoing support of an existing platform, IronPlane stands out as a supportive and transparent provider of eCommerce solutions. Since IronPlane works extensively using Magento among its many eCommerce platforms, it made sense for the company to pursue the opportunity to become a dotmailer Certified Partner. The partnership allows IronPlane to take advantage of dotmailer’s expertise, which in turn will help IronPlane improve email ROI for its clientele. IronPlane knew it wanted to expand its ability to help its customers B2B marketing. The company was looking for a way to more seamlessly integrate and develop email marketing software with the multitude of eCommerce platforms it was working with. An effective email marketing campaign goes hand-in-hand with other eCommerce marketing efforts. With over 70,000 users in more than 150 countries, dotmailer is the world expert at email marketing approaches. It only enhances IronPlane’s already strong eCommerce business marketing strategies to have dotmailer as a partner in their quest to assist businesses across the US achieve greater sales and customer engagement. Every day, approximately half of all Internet users either check or send email. That’s over a billion people who are involved in email activities. With the decline of snail mail, a business is at a severe disadvantage if it doesn’t utilize an email marketing strategy to support its eCommerce platform. While SEO may get the lion’s share of attention when it comes to eCommerce, email marketing is proving to provide good ROI. Customers can engage regularly with their company of choice by opting in to receive regular email communications. Businesses can promote products and increase interest in special sales events through active email engagement. Email marketing doesn’t have to be bland and boring. Dynamic, engaging emails catch the customer’s attention. Emails can even be personalized by having the customer complete a preference survey early in their interactions with a company. You can also track consumer behavior using email marketing. Want to verify a transaction with a customer? Want to confirm that a customer left a shopping cart without completing the transaction? Care to get feedback from a recently completed purchase? Email allows your company to do all of this and more with ease. Compared with more traditional forms of advertising, email marketing is incredibly cost-effective. It costs pennies to send out emails to thousands of potential customers, while it costs many dollars to go a more traditional route. One of the reasons why IronPlane enjoys working with dotmailer is the analytic response. 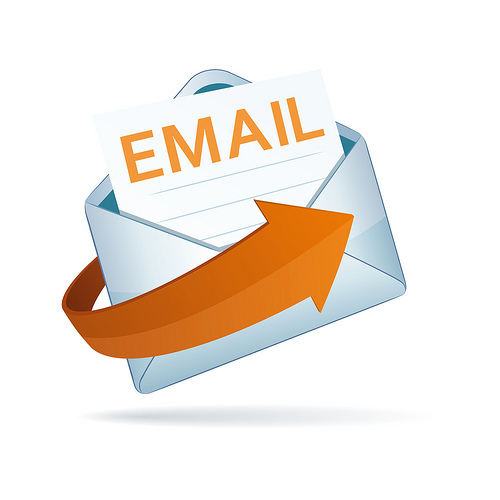 Using dotmailer’s software, it becomes easy to track customer responses to their emails. You get instant feedback about what is working and what is not. IronPlane knows that a one-size-fits-all response doesn’t work. Businesses have different reasons for reaching out for help with their eCommerce activity. While IronPlane works heavily with Magento, the company knows that’s not the only platform out there. It tailors its eCommerce solutions to include the solutions that work best for your business. If you’re looking for an eCommerce solution that will make your business stand out from the competition, or you need some valuable expertise on how to make your business get an excellent ROI from your online marketing, IronPlane is the place to go. Our business experts can help select the appropriate platform for your business and get you started. We can also help support your eCommerce activities when there is a problem. Now that IronPlane is a dotmailer Certified Partner, we are also proud to offer a full spectrum of services. We are excited to get your email marketing where it needs to be for high customer engagement and ROI.